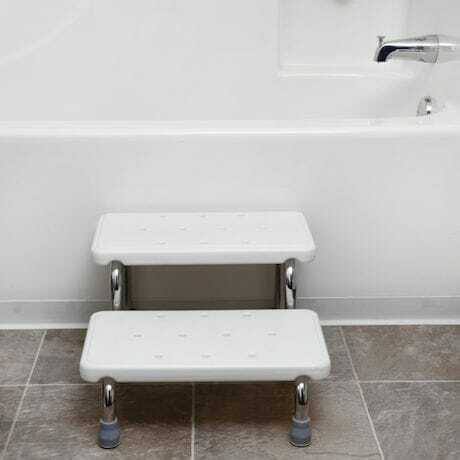 These bath steps helps make getting into the tub easier. 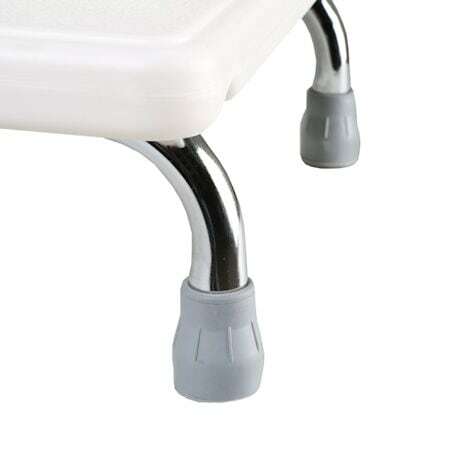 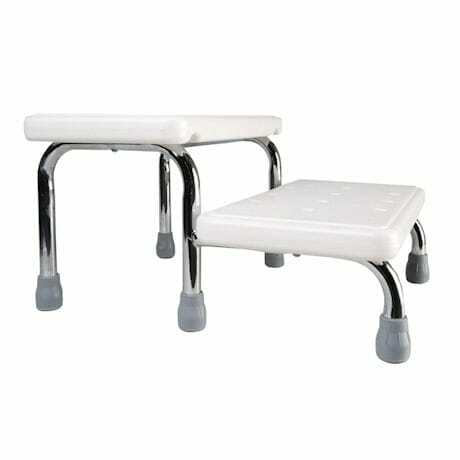 Durable steel legs provide firm support and two steps give a total increase of 10" of height. 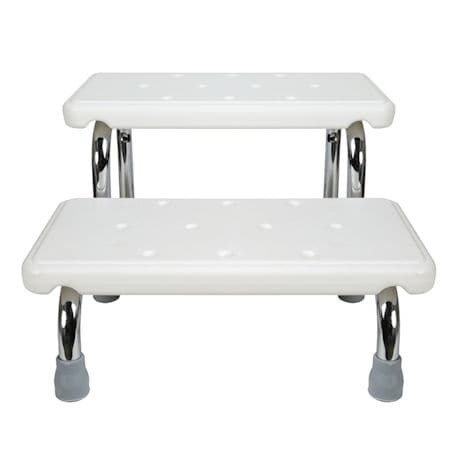 Each step is designed with a slip-resistant, textured finish to aid in sure-footing. 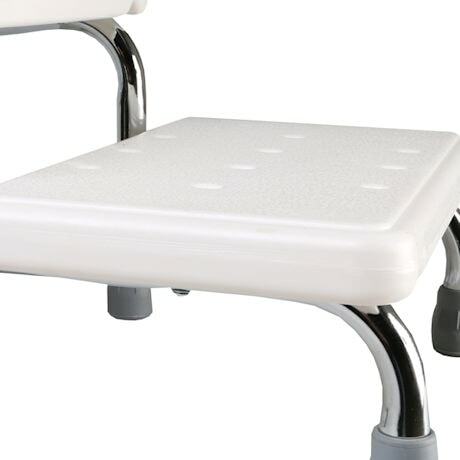 Supports a maximum weight of 220lbs. 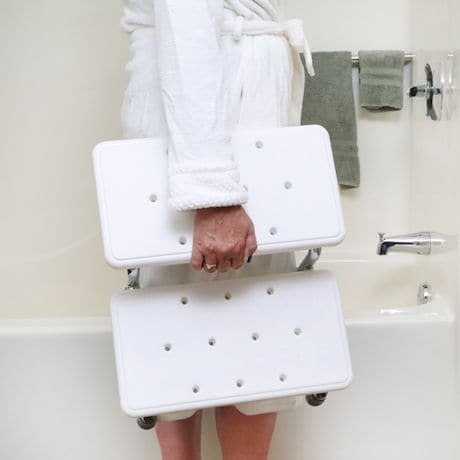 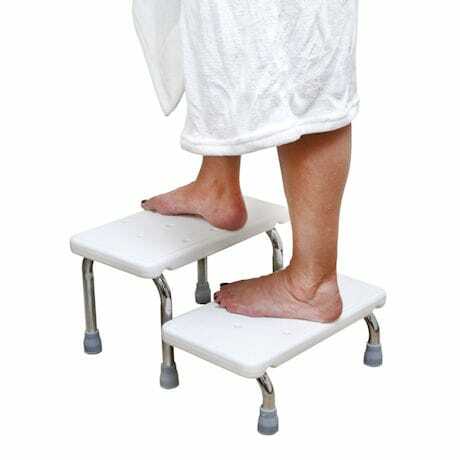 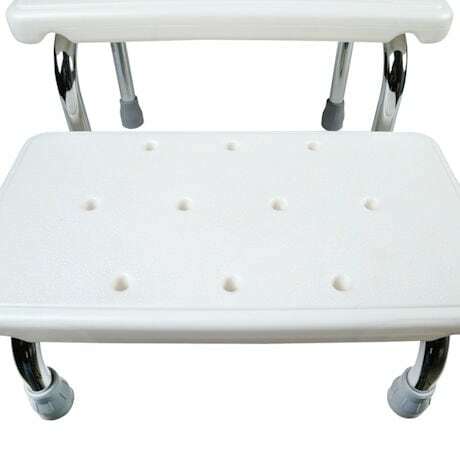 *Rubber feet help keep Bath Steps in place. 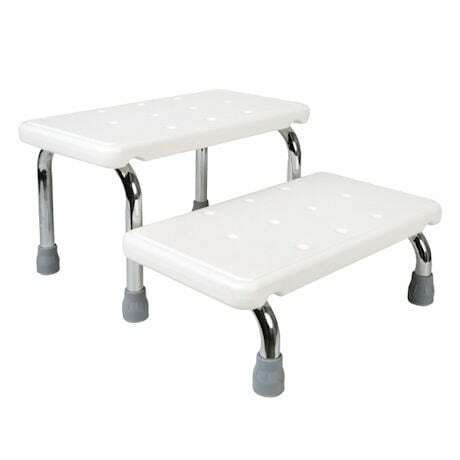 Steps measure 16"W x 18 ¾"L x 10"H.
*We strongly recommend pairing the purchase of the Bath Safety Steps with a bathtub safety rail for added stability. 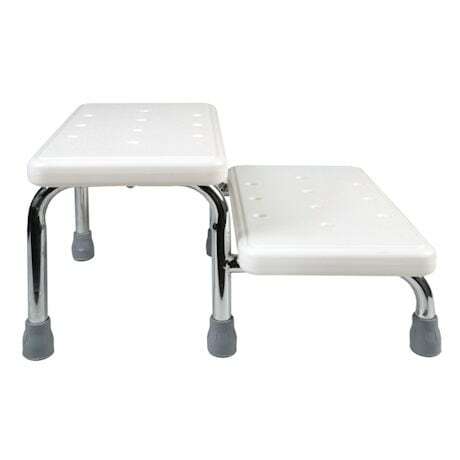 See www.supportplus.com/Mobility for several models that will meet your needs.